Place the pineapple rings on a parchment paper-lined baking sheet and freeze until firm. Combine the grenadine, rum, and Campari in a pitcher and stir until well-combined. Slowly pour in the pineapple juice, then lime juice, and finally ginger beer. Garnish the pitcher or individual glasses with the frozen pineapple rings. Serve the punch over ice. In Recipes-list.com we have selected the most viewed recipes from category - uncategorized . Enjoy the best recipes specially selected for you! 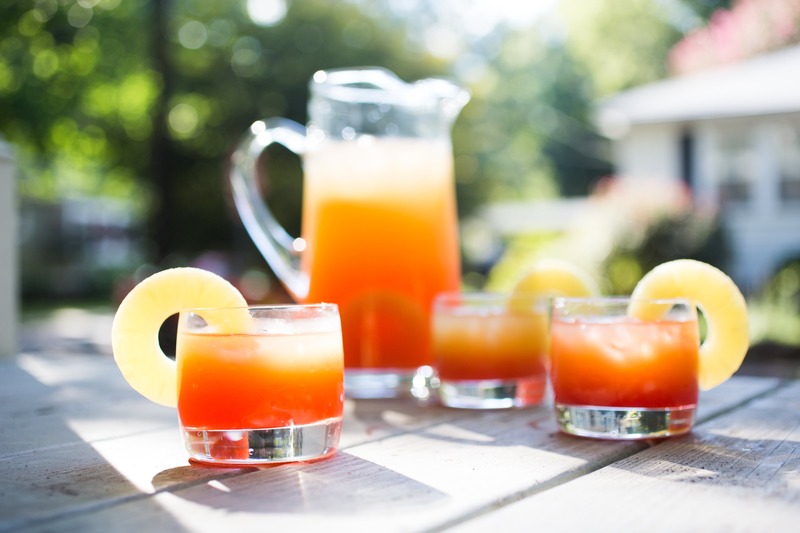 Pineapple Rum Sunset Punch is the right choice that will satisfy all your claims.